I'll know I've got it when my activity is finished. 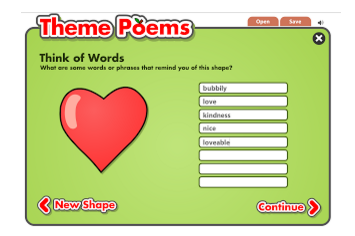 Using the Paint website below, create a heart with eyes. Save your picture. Add your picture to Talkify and add a mouth. Then you can record! 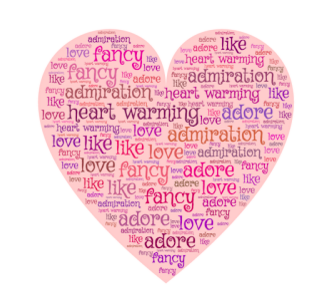 Recite a Valentine's Day poem to practice your fluency. 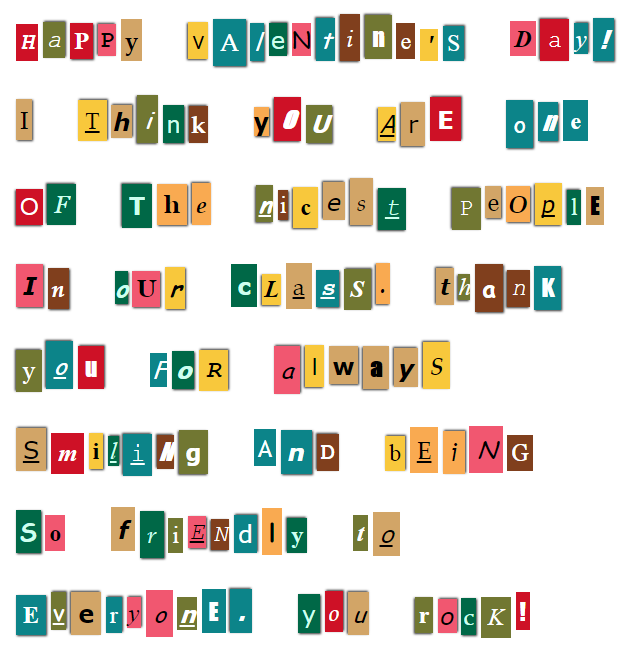 Write an anonymous Valentine's Day card to your "secret pal." See if they can guess who their secret pal might be! Use the site: The Ransomizer for this activity. Simply type in your letter and the site generates a ransom note. You can send your note via email or screenshot the note to print. 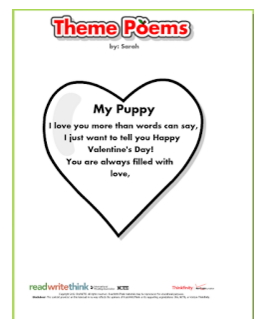 Go to Read Write Think's Theme Poems website. 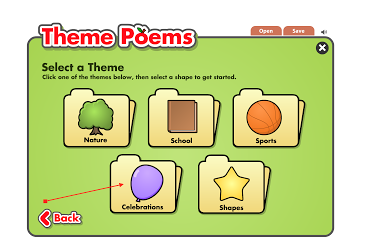 When you are asked to select a theme, click on the Celebrations folder. There you will find a heart theme.